“We’ve tried to move the bar a little bit with this bike. 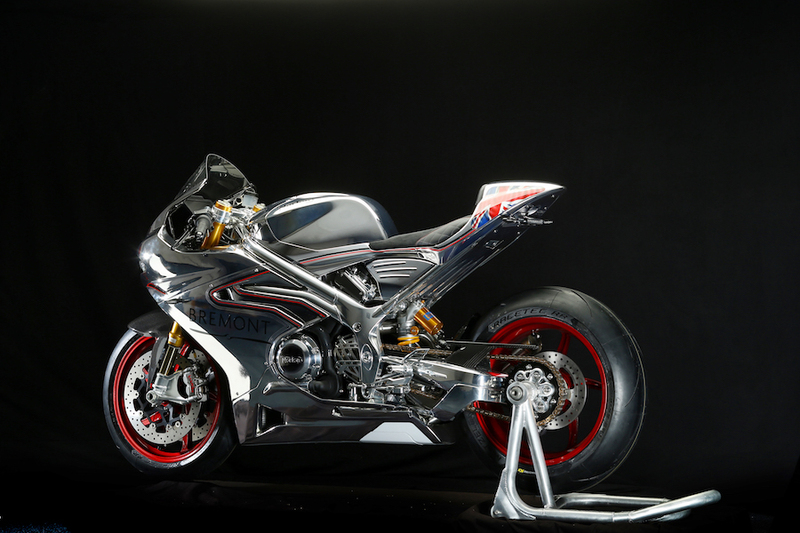 We’ve looked at where the competition is at today and thought ‘how do we take that on and beat it?’” Norton CEO Stuart Garner’s words show that the British firm isn’t cutting any corners when it comes to its first modern sportsbike. 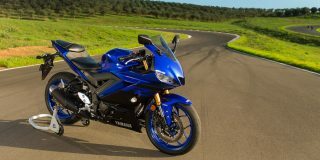 Described as the most technologically advanced British motorcycles ever built, the new V4 SS and V4 RR are, if the tech sheet proves accurate, potentially more than a match for the best from Europe or Japan. And considering they are the firm’s first attempt in this highly competitive market, that’s impressive going. If you are purely talking styling, then you have to say Norton has hit the nail on the head. But further than just aesthetics, Norton has come straight out of the box with a bike that is not only powered by a 1200cc V4 engine built and developed by the British firm, but also housed in a TT-proven chassis with an electronics package that is as good as any rival. 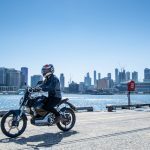 Considering it has taken Suzuki until the latest generation GSX-R1000 to add a similar level of electronic advancement to its bike, that’s no mean feat for a small company such as Norton, which has only been making bikes since 2010 under its latest ownership. The Norton V4 will be built entirely in-house at the firm’s Donington Park-based factory and will come in two forms, the range-topping SS and the lower specification RR. Not that it’s much lower in specification. Where the SS uses CNC-machined parts for its frame and swingarm, the RR sticks with less expensive cast items, helping reduce its price from the SS’s £44,000 (approx A$72,500) to a slightly more palatable £28,000 (approx A$46,000). 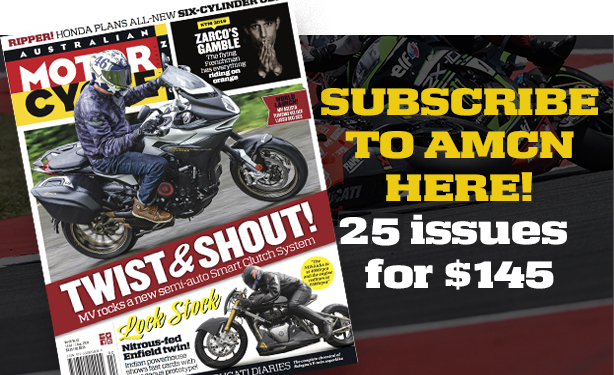 Not that the SS’s cost seems to be putting buyers off – the first run of 200 bikes has already been snapped up and the order book for the 250 initial RR models is also filling in fast. So what are buyers getting? 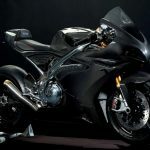 When it comes to the engine, Norton has used its experience with Aprilia’s V4 in its TT bike and joined forces with British engineering firm Ricardo to produce its very own V4. While some will instantly dismiss this motor as an Aprilia knock-off as they are a similar format, this is far from the case. The V4 runs a compact 72º V-angle, where the Aprilia is a 65º, and it is actually a ground-up new engine, designed and built by Norton. 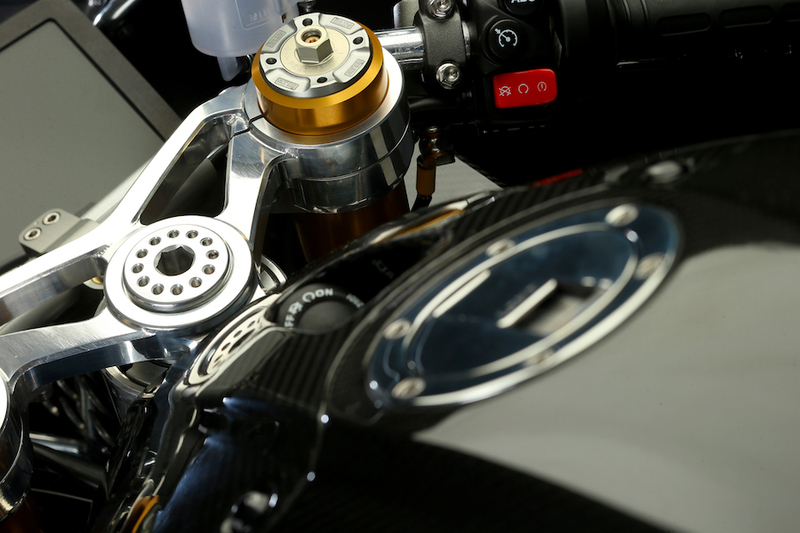 Inside the motor, which has a larger bore and stroke than the RSV4 giving it a 1200cc capacity, the Norton runs titanium intake valves and its chain driven twin overhead cams have an idler gear to make the head even more compact, a similar solution to the one Aprilia also employs. 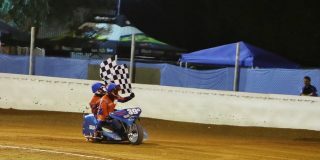 The valves run a rocker-style valve train rather than a traditional bucket and shim, allowing the motor to rev to 13,000rpm with its claimed peak power of over 150kW at 12,500rpm. But being a V4, this is only half the story as it also produces a massive 130Nm of torque – 15Nm more than the 2017 Aprilia RSV4 RF. 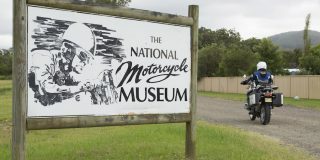 A cassette gearbox and slipper clutch are also standard equipment and Norton has cleverly made the engine even more compact by moving components such as the oil filter and starter motor to one side to allow the exhaust to be routed to the other, saving space and allowing the firm to position the motor further forward in the bike’s chassis. Developed using the firm’s TT racer, the V4 SS’s chassis is a combination of aluminium tubing and CNC-machined parts from aerospace-grade billet aluminium that are hand welded together in the factory. 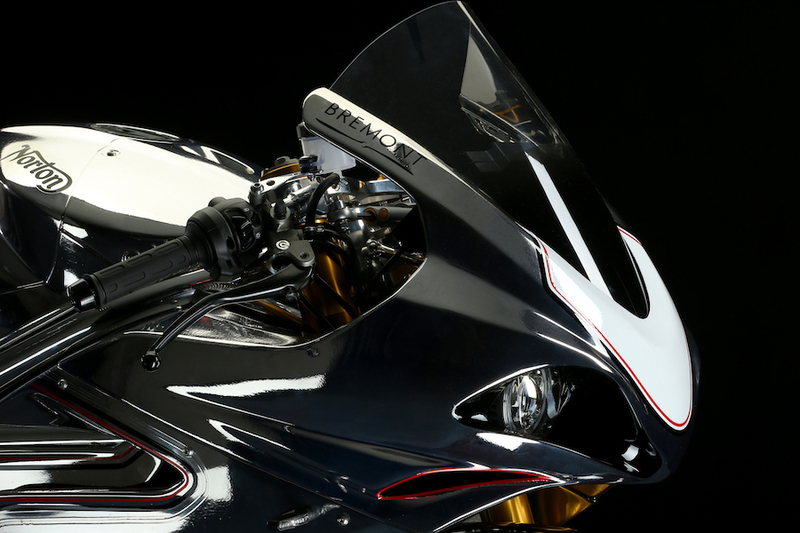 According to Norton, it has a similar geometry to the TT racer and uses the V4 as a stressed member, however, the roadbike’s frame is actually 3kg lighter than the racer’s. 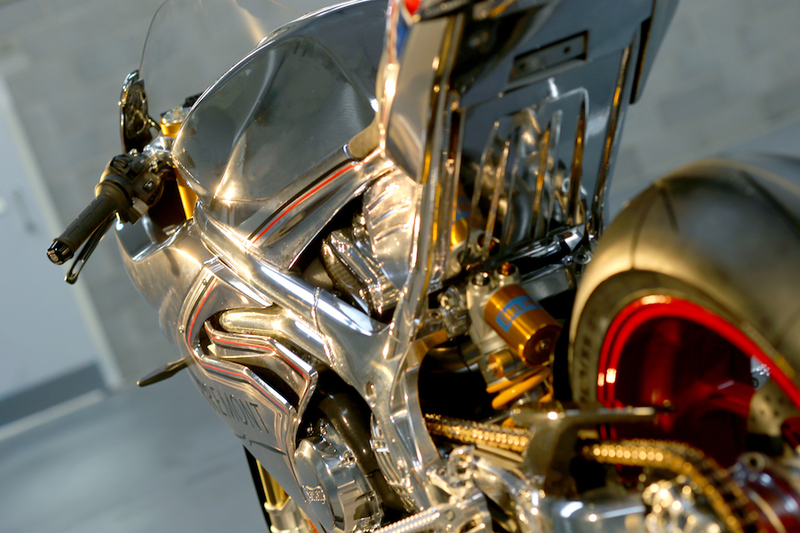 The SS comes with an adjustable headstock and swingarm pivot point and its frame is hand-polished to a mirror finish. Matched to this frame is a single-sided swingarm that is also CNC-machined (from a 70kg block of billet) and weighs just 3.1kg. To keep costs down, the V4 RR uses cast instead of CNC-machined parts in its chassis, subframe and swingarm, but it has the same basic geometry as the SS and shares the same advanced electronics package. So now the crunch question: when will we see the bike in the flesh? 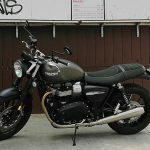 Norton is starting production of the SS in mid 2017 and the RR will follow soon after. While the first run of 200 SS models has sold out, there are still some of the 250 RR bikes left to be snapped up. Will this be the end of production? 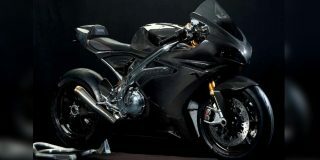 Norton is keen on keeping the bike exclusive, but it has not said it will limit production. As Norton’s CEO Stuart Garner sums up, “For Norton the V4 is an incredibly exciting bike and opens another chapter in Norton’s future…” We can’t wait to see what else this chapter holds in store. “About five or six years ago we started figuring out the engine platform and considered an in-line four and even V5, but then we thought, ‘what would the original Norton design engineers who built the Manx bikes in the 1950s have used nowadays?’ and the answer was a V4. The V4 makes for a very narrow bike and gave us the best chassis geometry and packaging options – at the end of the day the first priority was to get the bike’s engineering correct. A Norton needs to be fit for purpose, which is why we then went TT racing – if a bike can get around the TT course fast then it is certainly fit for purpose. 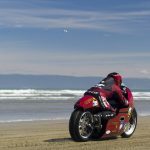 The five years of TT racing were done for chassis and electronics development. We knew we would build a V4, so we bought a reliable V4 motor from Aprilia and used this to develop and prove our chassis. Once the chassis was sorted we simply put in our own V4 when it was built. And we designed our V4 as a 1200 on purpose as I don’t want anyone to race it in a streetbike series, but we will continue to race at the TT, using the Aprilia motor in 2017 and our own engine in 2018 as either a 1200 or a race-only 1000. “We started really developing the engine 18 months ago, but it has been bubbling around since 2010 as a CAD sketch. There are many reasons why we opted for a 72o V angle. Ideally you want a 90o as it is balanced, but this compromises the chassis’ geometry, while a 65o doesn’t leave you much room for the intake ports. In the end we went for 72o as it works and also looks good aesthetically, which was a consideration for future models. The idler gear drives the two cams while the gear itself is turned by a chain, a design that allows the head to be very short. Overall our 1200 engine is probably 20mm shorter than Aprilia’s V4, despite being bigger in capacity. A lot of motors have the balancer shaft located at the motor’s front, but that makes the engine long and so we have moved ours into the sump area but out of the oil so it doesn’t create drag, again to keep the motor compact. The 72-degree 1200cc V4 makes over 150kW according to Norton with 130Nm of torque. Built by Norton in conjunction with Ricardo, it has been designed to be ultra-compact with the oil filter and starter motor located on one side and the exhaust routed on the other. The inlet valves are made from titanium, the cams have an idler gear and the engine is fed fuel and air via eight fuel injectors and a variable length intake system. The six-speed gearbox is a cassette design and includes a slipper clutch. Developed from the SG5 TT bike, the SS’s shotgun chassis is a combination of aluminium tubing and CNC-machined (the RR’s is cast) parts, TIG welded together by hand, and features an adjustable headstock and swingarm pivot point. The SS’s single-sided swingarm is also CNC-machined (again, the RR’s is cast) and weighs just 3.1kg despite starting life as a 70kg block of billet! 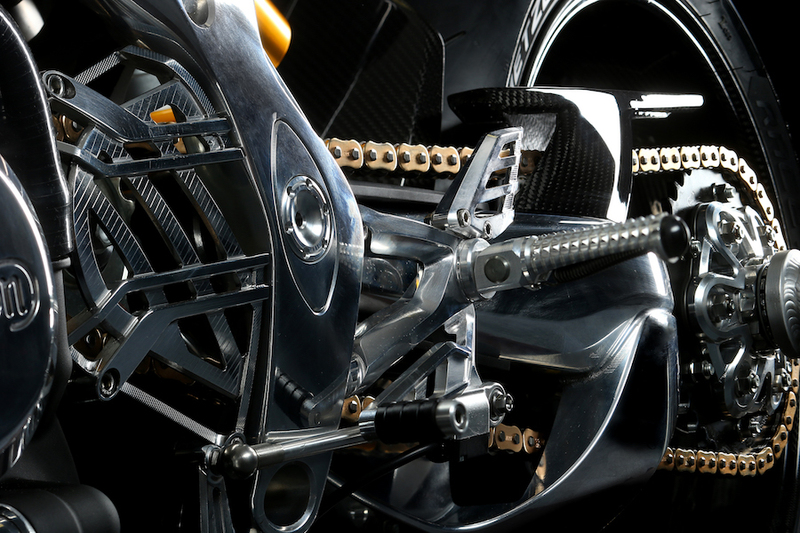 Both bikes feature fully adjustable Öhlins NIX30 forks with an Öhlins TTXGP shock, Öhlins steering damper and Brembo brakes. Owners of the black bike get carbon wheels while the chrome version comes with red forged aluminium ones to replicate the TT bike’s look. But you can tailor your bike to order. Thanks to its full ride-by-wire throttle, the Norton has cruise control and three riding modes – Road, Race and Pro-Race as standard. A Bosch six-axis IMU feeds into a multi-setting traction control system that also includes launch control, anti-wheelie, engine braking strategies and a datalogger. An up and down quickshifter and ABS are also included as standard while the dash is full colour and features a rear view camera. The ignition system is keyless. The V4 is extremely narrow thanks to the use of an underseat 18-litre fuel tank constructed from a mix of carbon fibre and Kevlar. The ‘tank’ is mainly airbox, and a split two-piece radiator has allowed Norton to shift the engine further forward in the chassis. Both the SS and RR have a fully carbon fibre fairing with paint options limited to carbon or TT-replica chrome, and both feature LED lights. The SS is the highest specification V4, costs £44,000 (approx A$72,500) and initial production is limited to 200 units, all of which are already sold. The RR is priced at £28,000 (approx A$46,000) and has an initial production run of 250 bikes, most of which are still available. The SS gets a hand-built aluminium frame while the RR has a cast one and the SS’s swingarm is also CNC-machined from billet aluminium where the RR’s is cast. There are other subtle variations, but it basically boils down to CNC parts compared to cast ones. 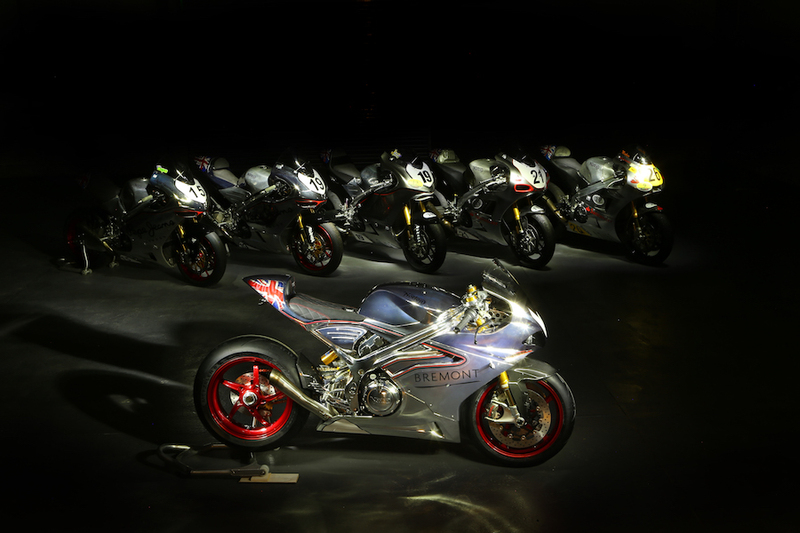 Norton’s current owner Stuart Garner bought the firm in 2008 and after initially setting the company up in the grounds of Donington Park, moved into Donington Hall in 2013 where the firm operates out of a 4180m2 factory, building roughly 500 bikes a year. 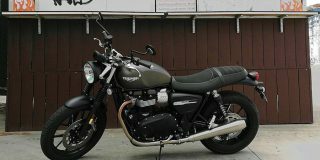 The firm released its first bike in 2010, the 961cc parallel twin Commando SE, before increasing its model range with the Café Racer and Sport variations. 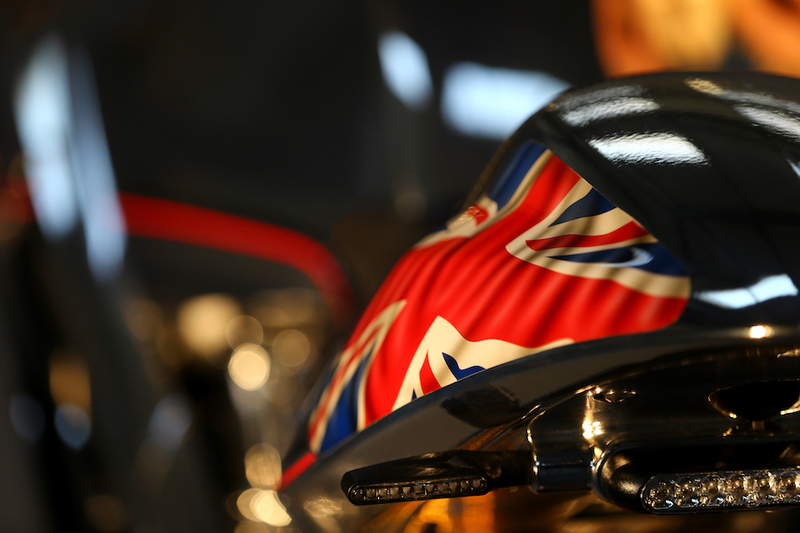 In 2012 the firm returned to the TT with the SG1, which was a Norton-built chassis powered by an Aprilia V4 engine. 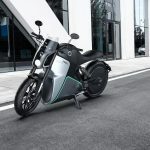 2014 saw the launch of the Domiracer, a limited edition Commando with heaps of attitude, while the Commando MkII was released in 2015 and brought with it significant refinements and technological advancements. In 2016, Norton had its best TT result to date with the SG5 setting an average lap time of 130.8mph and finishing seventh overall in the Superbike TT with Dave Johnson riding.